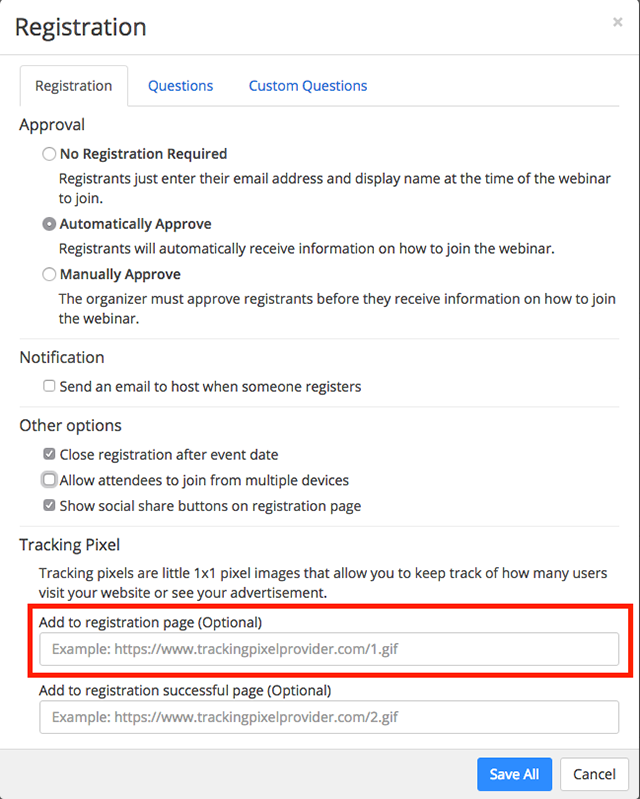 Zoom allows you to add a Facebook tracking pixel to your Zoom registration page and registration successful page. This allows you to track how many users visit your registration page and how many complete the registration form. Set up a Pixel on Facebook. 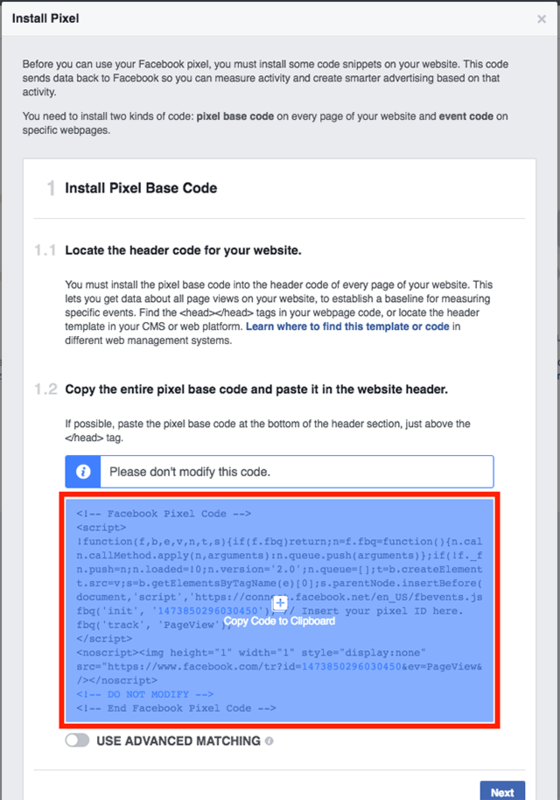 Under Install Pixel Base Code, choose Copy and Paste the Code. Paste the code into a blank document or text file. 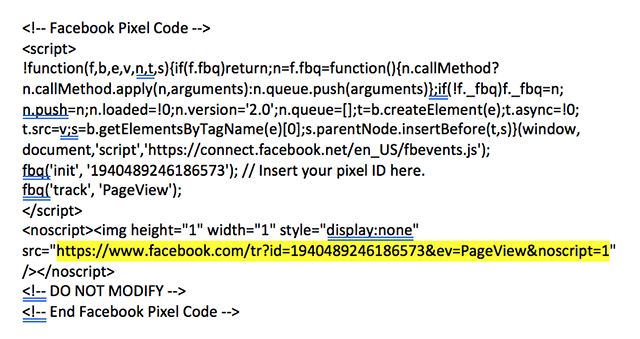 Find the https://www.facebook.com/tr?id=uniquepixelcode&ev=PageView&noscript=1 URL. Copy the entire URL between the quotation marks. Log in to edit your Zoom webinars. Click on the Topic to edit the webinar. Scroll down to Invite Attendees and choose Edit to the right of Approval Options. Under Tracking Pixel, paste the URL into Add to registration page. If you also want to track how many people reach the registration successful page, paste the same URL into Add to registration successful page. To check it is set up successfully, visit your Pixel Manager on Facebook. It should show the pixel as active. Note: To check how many people successfully register, you can create a custom conversion in your Facebook Ads Manager.